ADVERTISING is usually the most important element in any brand marketing plan, but many companies are finding that other approaches are also effective. Some have pursued these approaches out of necessity, being unable to support national advertising campaigns, while others are just more innovative than most in developing their marketing repertoires. Membership Organizations. Harley Owners Group (HOG), Hallmark Keepsake Ornament Collectors Club, Pond’s Institute. Special Events. HOG Rallies, BMW Motorcycle Owners International Rally, Jeep Jamboree. Museums and Factory Tours. World of Coca-Cola Museum in Atlanta and Las Vegas; CNN Factory Tour in Atlanta; Kellogg’s Cereal City USA in Battle Creek, Michigan; the American Girl Place in Chicago; the Crayola Factory tour and store in Easton, Pennsylvania; the Hallmark Visitors’ Center in Kansas City, Missouri; the Ben & Jerry’s factory tour in Waterbury Center, Vermont; Hershey’s Chocolate World in Hershey, Pennsylvania; The Vermont Teddy Bear factory tour and store in Shelburne, Vermont; Dewar’s World of Whisky in Aberfeldy, Scotland; and MacWorld Expo (85,000 make this pilgrimage!). Theme Parks. Disney World, Cadbury’s Theme Park, Legoland, Busch Garden, Knott’s Berry Farm. Limited Distribution for Product Launches. Create a sense of scarcity. Focus on those outlets known to be frequented by enthusiasts. Sponsorships. 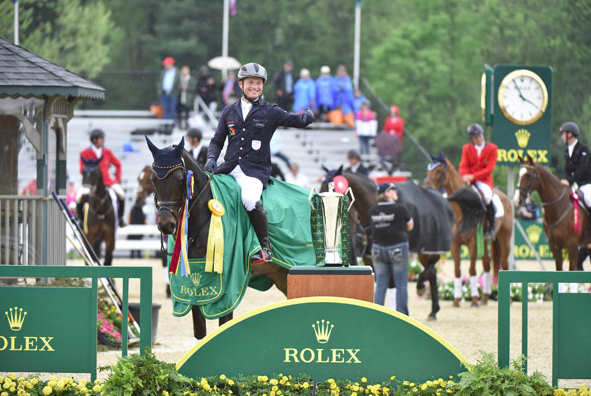 Rolex and high-end sports events (such as horse shows and races, yacht races, polo); Izod Arena, Allstate Arena, Capital One Bowl. Larger-Than-Life Brand Owners. At the December 1999 Brand Master Conference, Sixtus Oechsle, the manager of corporate communications and advertising for Shell Oil Company, said that 40 percent of a company’s reputation is based on the reputation of its CEO. Examples in more recent years include Richard Branson (of Virgin), Anita Roddick (of The Body Shop), Mark Zuckerberg (of Facebook), Bill Gates (of Microsoft), Ted Turner (of TNT), Jeff Bezos (of Amazon), Steve Jobs (of Apple), and Martha Stewart (of Martha Stewart Omnimedia). Frequency Programs. Hallmark Gold Crown Card, Starbucks Rewards Card, and any number of frequent traveler reward programs for hotel chains and airlines. Businesses with a Social Conscience. Ben & Jerry’s, The Body Shop, Tom’s of Maine, and Newman’s Own products. Cause-Related Marketing. McDonald’s sponsors the Ronald McDonald House; American Express alleviates world hunger; and Pfizer has donated fluconazole, an AIDS drug, to South Africa. Excerpted from Brand Aid, second edition available at Amazon.com.